How long will it take to close the gender pay gap? April 4 symbolically marks how much longer full-time working women need to work to earn the same pay that men earned the year before. "The wage gap really impacts women across their career and lifespans," said Emily Martin, general counsel and vice president for Workplace Justice at the National Women's Law Center. She added that a woman working full time, year-round will lose more than $10,000 a year to the wage gap. "That means that women will have less wealth, less resources for retirement, and it is one reason why women are likely to take time out of the workforce to do caregiving because they earn less than their male counterparts." The size of the gender pay gap varies depending on who you ask. Women earned 79.6 cents for every dollar men made in 2015, according to data from the Census Bureau released last year. Meanwhile, Labor Department data show women earned about 82 cents for every dollar a man made in 2016. These figures are broad overviews and compare the pay among all full-time, year-round workers. The gap narrows when factors like education level, type of work, experience and job tenure are taken into account. The wage gap tends to be wider for older workers, according to Martin. Part of the reason is they faced bigger gaps when they started their careers, which can hurt long-term earnings potential. "A relatively small wage gap at the beginning of a career can grow given that everything from raises to 401(k) contributions tend to be based on a percentage of salary," she said. The pay gap means women lose around $10,470 in median earnings a year, according to a March report from the NWLC. When you take a career-long view, the gap hinders wealth building. Based on the 2015 wage gap, a 20-year-old female entering the work force full time will lose $418,800 over a 40-year career compared to a male worker, according to the NWLC. That means she will have to stay in the workforce 10 years longer than a man in order to earn the same amount. The gender pay gap is much larger among African American and Hispanic female workers. Hispanic women made 54 cents for every dollar a white, non-Hispanic man earned, which means they will lose more than a million dollars over a 40-year career based on today's wage gap, according to the NWLC. Black women earn 63 cents for every dollar a white, non-Hispanic man earns, meaning they will typically lose more than $840,000 over a 40-year career. Asian female workers are faring the best at narrowing the gap. They make 85 cents for every dollar a white, non-Hispanic man makes. After strong progress shrinking the pay disparity in the 1980s and 1990s, the improvement has slowed recently. "Progress has really slowed down and for the last decade or so, change has been modular," said Ariane Hegewisch, a program director at the Institute for Women's Policy Research (IWPR). Related: How paid family leave could become a reality in the U.S. The wage gap did narrow a teeny bit last year. 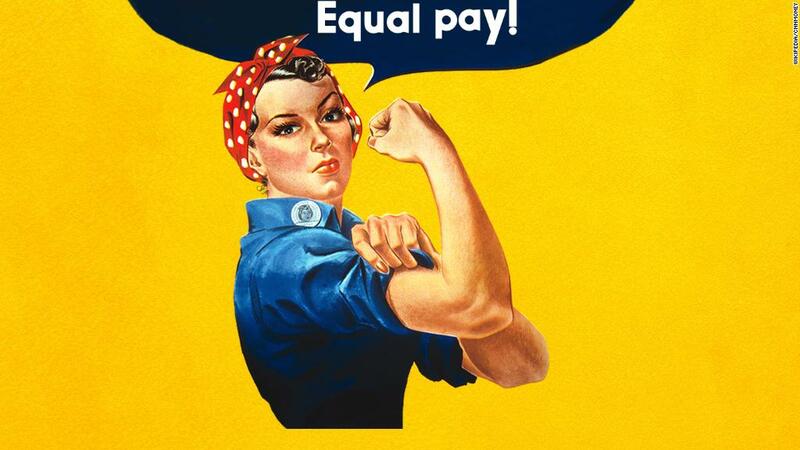 In 2014, women earned 78.6 cents for every dollar a man made. "Congress has not engaged on this issue in recent years and that may be one reason we haven't seen a lot of national progress," said Martin. The gap is often larger among higher-paying jobs, according to Hegewisch. Personal financial advisers had the biggest gender wage gap last year, according to a report from IWPR. The study did find occupations where women earned more than men. Those occupations included counselors; teachers assistants; combined food preparation and serving workers, including fast food; and sewing machine operators.